Who said Cowboys aren't social? We've always believed in supporting your community and your country, which is why we go the extra mile to feature products that are made right and made here. We try to feature local products that are hard to find, and we do try and give preference to items that are made in America where possible. We have received a lot of inquiries about putting a list together of Arizona-made and USA-made products. We are working on a centralized list, but in the meantime you will find many of our products are already tagged on the web store. Welcome to The Old Livery Mercantile, your "Best of the Southwest" source of southwestern Gifts, Jewelry, and Home Decor items. 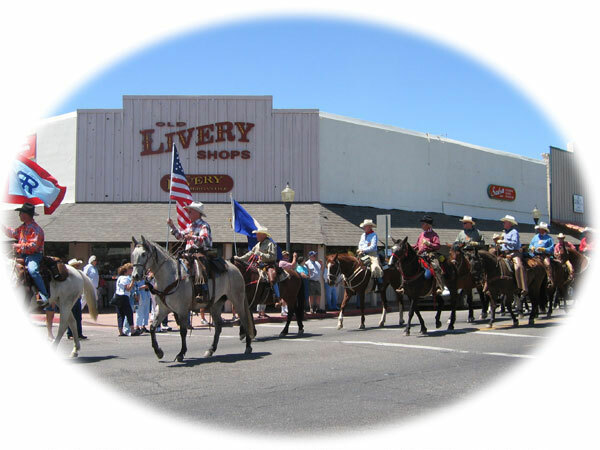 Our store is located in Historic Wickenburg, Arizona's Most Western Town. Founded in 1863, the town is located near the famous Vulture Mine, the most productive Gold Mine in Arizona. The mine is closed now, but The Old Livery is a Gold Mine of quality and value. If you're in town, stop by and have a look around. Our inventory is always changing, so you'll see new items with every visit. Our friendly staff is always ready to assist you. We accept Visa and MasterCard Credit Cards. Gift wrapping is available, and we can ship most items for you the same day. We have the capability of shipping via UPS, FedEx, or the United States Postal Service. We do International orders as well. Contact us for details and shipping on International Orders. You do NOT need to open a PayPal account to purchase from our store. Learn more here.